Lemon lime has always made me think of hot summer days. This beautiful lime green hydrangea was hiding, just waiting to be picked and brought into the house. I adore Glassybaby votives for a million reasons. I wrote about them here. They come in so many colors and to see them is one thing, but to have them in your home lit by a votive or by the natural light...they are truly amazing in any color. These just happen to go well with my summer color theme. Nothing says summer more than fresh guacamole. I make it the simplest way possible with few ingredients and it's sooooo good! 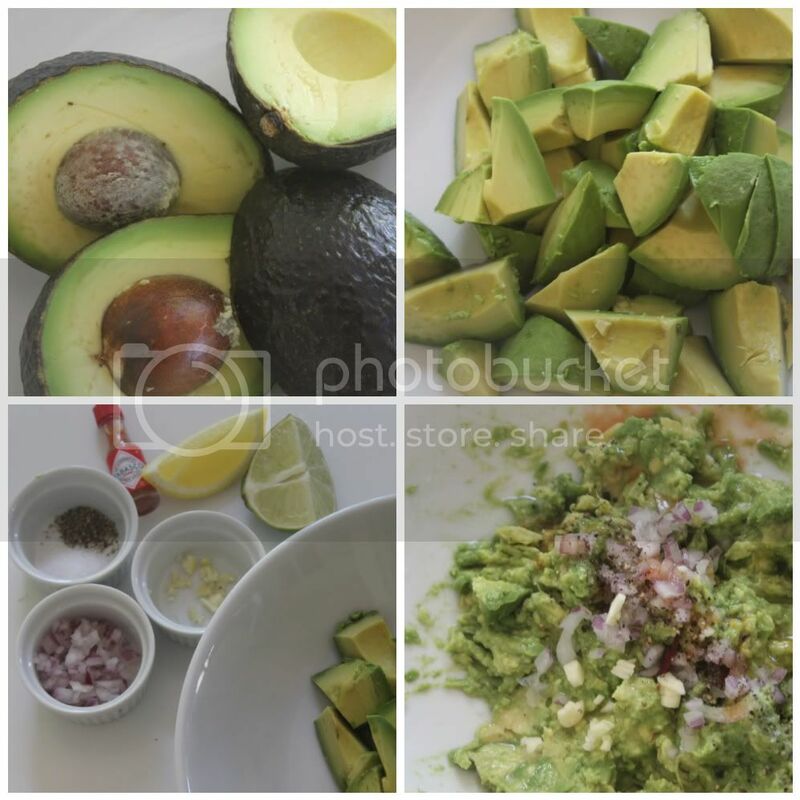 Mash the avocados with a fork and add the other ingredients and serve! Enjoy! Annie you have me craving chips and guacamole and I just had dinner. Simply beautiful summer post. i love avocados any way but this guacamole looks so good annie. your photos look like they are straight out of a magazine. Looks delicious! The colors are all so pretty together - everything - the food, the towels, the votives... love it all! Just keep those summer recipes coming! Love the color combo you have going on. So fresh and crisp. I adore Glassybaby votives, so much that I should go out and buy more! What absolutely splendid images which highlight what is, in our view too, a spectacular colour combination. And the coloured votives are truly beautiful. Oh I love these colours together, the towels are stunning! Such a beautiful post. I just love your entryway. Your home is so welcoming. You have inspired me to pick up my camera today.... thank you! Loving the shots of your entryway, it has such a serene vibe, makes me want to move right in! Yellow is my fav. :) Looks great with the green in your house! always love getting to see inside your home. The tumblers are so pretty too! You are such a talented photographer. Every photo looks like a pro snapped it. Hydrangeas are my favorite flower - I don't know that I have ever seen them in green. I must keep an eye out for them. yum. I could use a bowl of guac about right now. Those colours do say summertime. and it doesn't help green is my favourite colour! Oh wow, everything looks so beautiful! I love the green and yellow colour story you have put together. And many thanks for posting the guacamole recipe. I have been using Nigella Lawson's recipe (which is super simple and quite tasty) but have been wanting to try out another one for a while. I love avocado and this is so tempting, however, my pantry is bare and the fridge has little till be shop tomorrow. Very happy home with yellow accents and I can smell the citrusy guac!